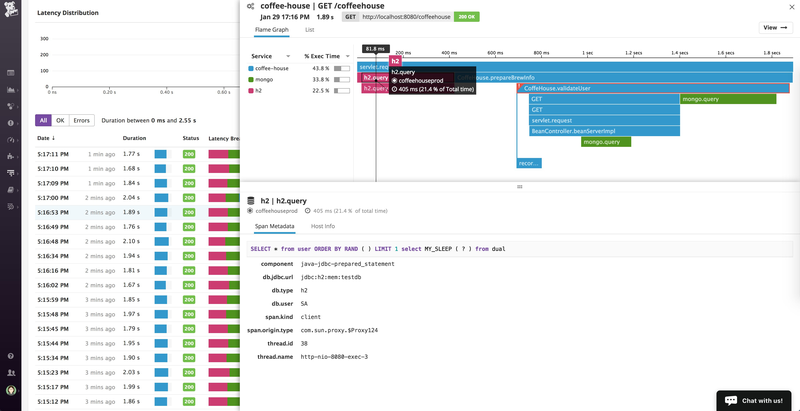 Improve and troubleshoot your apps with end-to-end request tracing. 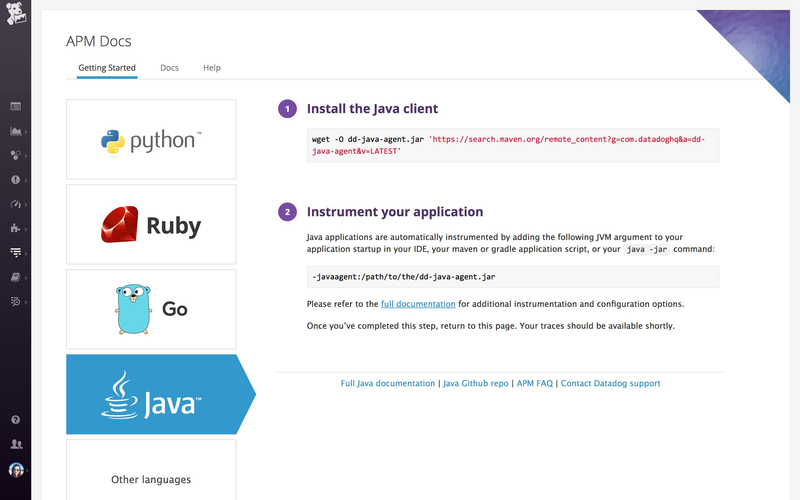 Start your trial today, install the agent, and we’ll send you a free Datadog t-shirt! 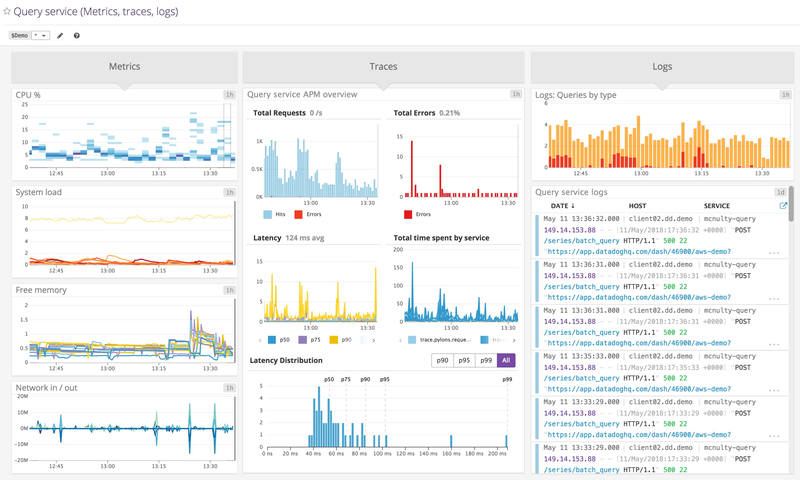 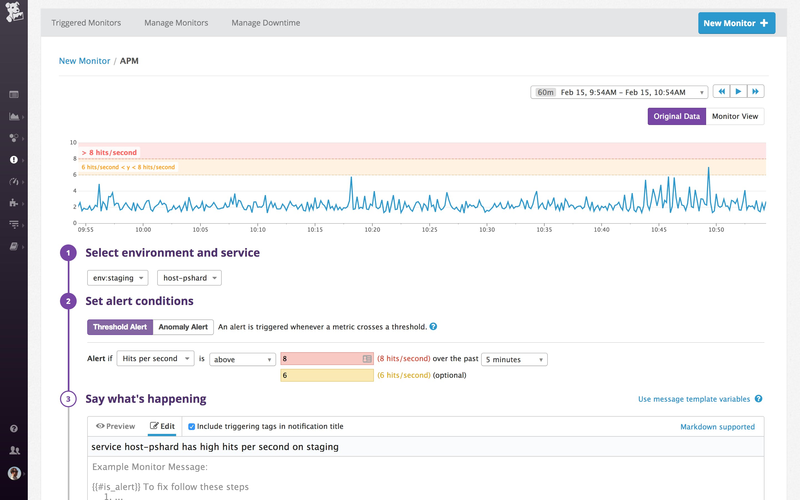 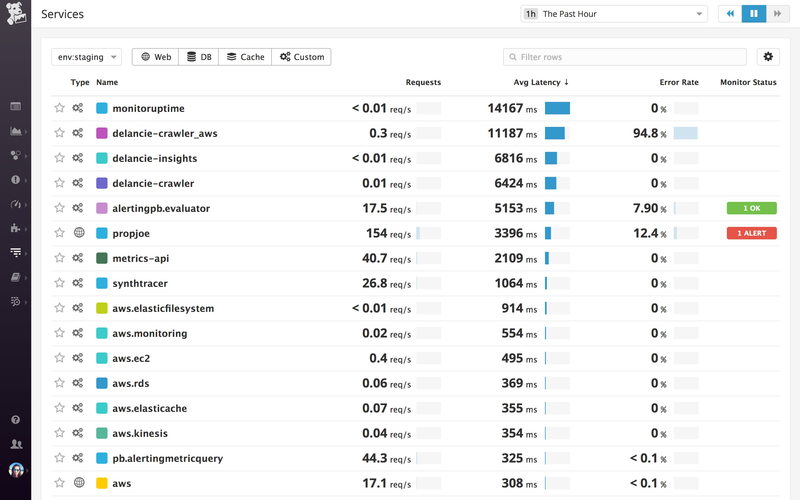 The Datadog APM Agent is open source, with support for Java tools like Spring Boot and Dropwizard, plus an API for custom tracing.